University of Southern Maine researchers contributed to a new workforce development report which says that the offshore wind industry could support more than 2,000 jobs each year until 2030. 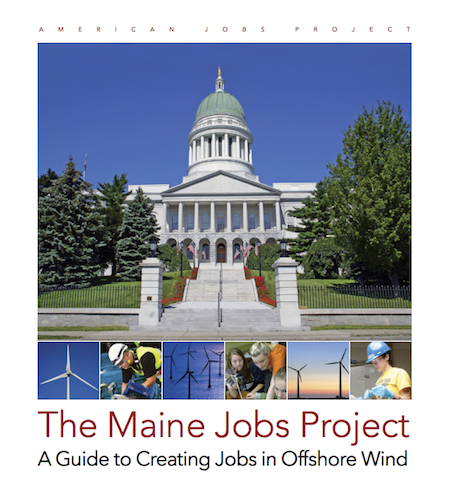 The report, “The Maine Jobs Project: A Guide to Creating Jobs in Offshore Wind,” detailed the state’s competitive advantages in offshore wind and was authored by the non-profit American Jobs Project. Research partners included USM’s Maine Center for Business and Economic Research, BVG Associates and the Environmental & Energy Technology Council of Maine (E2Tech). Maine can become a hub for offshore wind, according to the report. The industry projected to grow by 16 percent annually through 2030. Existing concrete production and manufacturing facilities in Maine could be used to construct wind turbine components, such as floating foundations. Ryan Wallace, who directs the Maine Center for Business and Economic Research, spoke to the Offshore Wind Journal about the project. Stories about the report have also been in the Bangor Daily News and Energy Digital.